A graduation ceremony, also attended by employers and trainers, was held at The Factory, BCHA’s premises in Alder Hills, Poole, where the course was predominantly delivered. Already, 11 of the graduates have found work, with that number set to rise further in the near future, and another one has successfully signed up for an Engineering apprenticeship with Bournemouth and Poole College. 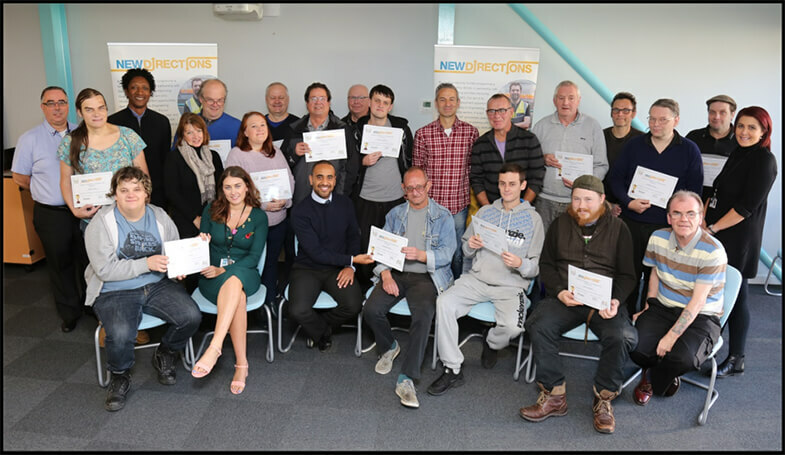 New Directions is a fully-funded programme and is being delivered by BCHA, in partnership with Dorset Engineering and Manufacturing Cluster (Dorset EMC) and supported by the JPMorgan Chase Foundation. The three stages of the programme look at personal development through a variety of workshops by BCHA’s Ignite team. This is followed by practical skills workshops with a New Directions skills trainer, and input from local employers, and then towards employment or progression routes to further education, followed by in-work support for the first three months. The aim of the programme is to introduce new employment opportunities, specifically focusing on growth employment sectors, particularly engineering, manufacturing and production. Participants on the 12-week course were initially referred from a number of sources such as Jobcentres, local employability providers, charities and the NHS. The course offered a practical skills training project with input from local employers, including staff volunteers from J.P. Morgan who helped by providing interview techniques and confidence building, followed by 30 minute mock interviews at J.P. Morgan offices in Bournemouth. The course, which also looks at individual wellbeing, involved participants attending The Factory three or four days a week and getting into a work-like routine and experiencing working with people. Participants receive an individual needs assessment and have the support of a dedicated team throughout the programme to support them with barriers that may arise re-entering into employment. Graduates from this New Directions cohort have spoken of their experiences. A new intake has already started on the latest course.